Senior baseball can be played in various divisions to cater for the team's ability. Normal baseball rules apply with all senior games with the exception of the application of the "6 runs across the plate" in certain divisions. This rule is usually limited to the first three innings. Players in senior divisional teams may swing wood or alloy bats, provided that they meet the BBCOR -3 standard. Teams consist of a minimum of 10 and a maximum of 15 players. The teams train once per week and usually begins at 6pm. The Senior teams compete in the Greater Brisbane League (GBL) divisional competition. Games are normally scheduled for 7 innings or 2 hours, which ever comes first. The division will determine the game day. Generally the games are on a Sunday morning. • Be respectful of others. 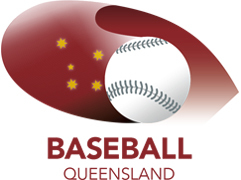 Baseball Queensland Inc. and the Australian Baseball Federation require that all Senior teams have an accredited Coach, Scorer and Umpire. Indians Baseball Club would like to encourage volunteers to consider taking on a role to assist the teams. Indians Baseball Club will provide educational material and support to any person who is interested in taking on a role.